As a designer of a Leadership 360 Assessment, consultant to organizations using them, and a coach to many leaders who have taken a 360 assessment, I have a wide variety of experiences and perspectives about these tools. Because of this experience, I’m often asked questions about these tools and the processes. Here, I am sharing some of those questions (and my answers) with you. 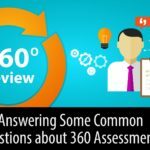 In case you don’t know, a 360 Assessment is a process where people assess themselves and get anonymous feedback from others on the same assessment questions. Typically, for a leader, the feedback would come from their boss(es), their peers and those that report to/work for them. That feedback is then shared back with the person being assessed, giving them a 360-degree view of their performance. I have questions asked from the personal level, from the organizational level, and I will close with a question that crosses both perspectives. How can I ensure honest feedback? Ask for it! Tell people that you really want to know how they feel; that you will take the feedback seriously and that you want to use it to improve. Assure people it is anonymous. 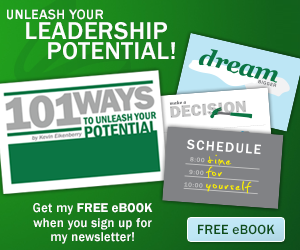 People are less likely to be honest if they don’t trust the organization, the system, and you. While you can’t change those trust levels in a heartbeat, you can do everything you can to let people know the process is anonymous, making it safe for them to be honest. Ask broadly. The more people you ask for the feedback, the more data you will get, and the more likely you will get the honest stuff (whether it be positive or negative). How can I make the process positive for everyone? Before the assessment. Explain why this is happening and why you are asking people to provide feedback. Explain that as you become better, their lives get easier too; communicate the items mentioned in the previous answer. While reviewing your feedback. Keep an open mind. Listen to what is being said and accept all the feedback as valid, from the perspective of those who gave it. Resolve to build a plan of action based on the feedback. After your review. Thank people for their feedback. As appropriate, let people know what your plans for applying the feedback are, and ask for their support and continuing feedback as you work to improve. If you follow this advice, the 360 process can be a trust-building exercise between you and those who assess you, regardless of the level of trust at the start. This is a bonus, beyond the value of the feedback as a source of your growth and improvement. How do we get people to buy in to the 360 process? When people don’t know about this process or understand it’s purpose it can cause questions and much resistance. If you want to gain people’s support for the process, think about it like any other change initiative. Help people see the reason why first, then ask to understand their concerns. Usually, most of their resistance is based on the lack of, or incorrect information, about the process. Be patient to understand their perspective, and if possible, adjust the process to assuage their concerns. Keep the focus on the reason for the effort; seldom will people disagree with the value of development and growth of leaders! How do we ensure people will participate by completing the assessments? In our experience, the biggest reason people don’t participate is the simplest – they need to be reminded to do it! People are busy and they tell themselves they will “do it later.” Having a good reminder system and a clearly stated deadline is a simple way to improve the response rate. Beyond this simple answer, communicate clearly – let people know why this is being done, how the results will be used, and of course, that their responses will be anonymous. In short, you want to provide as much information as you can to increase the comfort level of raters with the process and the outcomes. This question is asked from both perspectives, so let’s close with it. 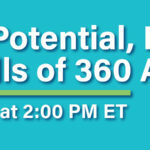 A 360 assessment provides a great benchmark of how a leader is doing, and so it is a natural question as to how soon should we take a new snapshot of performance? While there likely isn’t a standard answer here, I would say any timing less than one year may be too soon. In general, every 2-3 years seems like a good spacing in my experience. This gives the leader not only time to improve, but to change the perception of others enough to notice the change. If a leader moves to a new role, you might want to repeat the process with their new team, once they have six or more months of experience with their new leader. 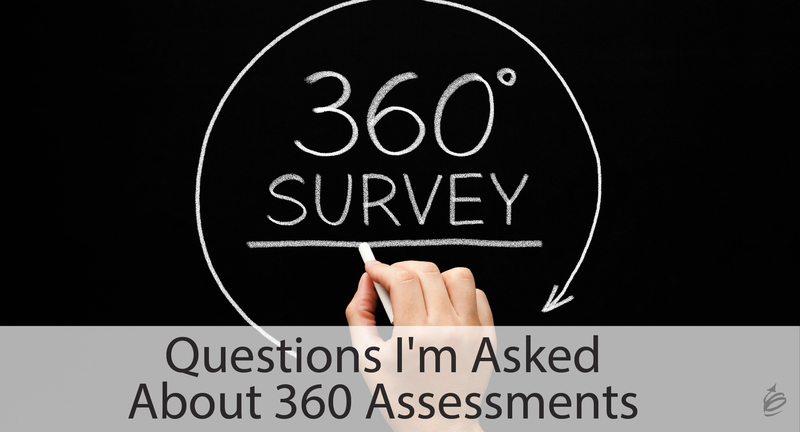 Or, if you want to talk to our team about other questions you have or about our approach to making 360 assessments most useful, contact us here and we’ll schedule some time to talk about it. One of the ways to assist this process is to designate a “middle man” to make sure assessments are finished and completion is not an option. 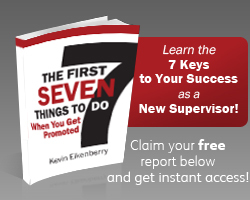 By doing so, the leader isn’t directly involved in giving reminders or insisting upon compleletion but relies on a trusted subordinate to do the job because 100% input greatly assists the process. We completely agree! You want leaders to encourage people to fill it out, but have the logistics handled by HR, your vendor or another third party. The leaders shouldn’t know who has or hasn’t completed an assessment at any stage in the process!